1 image. 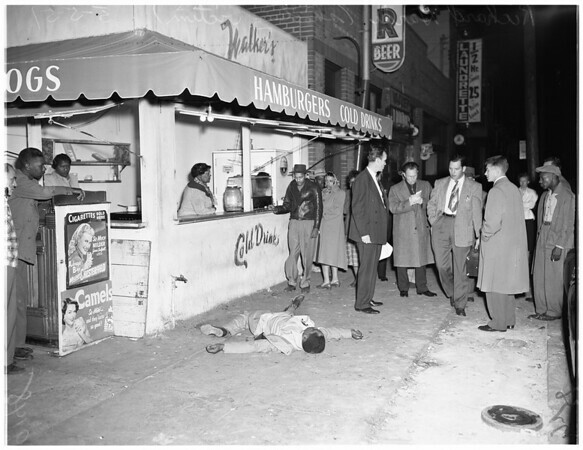 Murder at 1328 East First Street, May 5, 1951. Richard Hardy -- 39 years (victim) lies sprawled on sidewalk in front of hot dog stand after argument over dollar bill.